Following a successful 2014 pilot project to construct new bike shelters for cyclists in state park campgrounds and day-use areas, the Oregon State Parks Foundation is currently working with state park managers, local companies and community volunteers to expand the state park bike shelter network and help build Oregon’s reputation as a premier cycling destination. Last fall the Foundation, in partnership with Wilsonville high-tech company TE Connectivity, constructed two bike shelters in the hiker/biker camping area at Champoeg State Heritage Area, one of 31 designated hiker/biker camping areas in Oregon state park campgrounds. Through a generous grant from the TE Connectivity Foundation and the tremendous efforts of 35 motivated volunteers who participated in TE Connectivity’s Employee Work Day, we were able to complete two bike shelters — one designed to host a family or small camping group and a second to serve as a gathering place for cyclists seeking cover from rain and wind. These rustic shelters are already popular and frequently used by park visitors, and new amenities including bike racks, secure storage lockers and solar-powered USB ports are planned once the weather improves and camping season is in full swing. The Foundation now has an agreement with the Oregon Parks and Recreation Department to move beyond our prototype project at Champoeg to build bike shelters at other state parks across Oregon. Our initial program emphasis will be on the Oregon Coast, in the Columbia River Gorge, and along the TransAmerica Bike Trail through Central Oregon. The Foundation continues to meet with state park managers in these areas, and we’re hard at work planning projects at Ainsworth and Viento State Parks. In conjunction with the upcoming 100th anniversary of the Historic Columbia River Highway, these new bike shelters will welcome modern adventurists who pedal this scenic corridor under their own power. Recreational cycling is a key factor in Oregon’s growing tourism industry, and creating a statewide network of covered bike facilities in Oregon State Parks will help take bicycle tourism to the next level. The Oregon State Parks Foundation is currently seeking volunteers and corporate partners to help us enrich the state park experience by expanding bicycle recreation opportunities for day-use and long-distance touring cyclists. If your community group would like to volunteer to help construct bike shelters, or if you know of a local business or corporation that would be willing to provide funding for materials, please contact the Foundation’s executive director, John Hoffnagle, at 503-802-5750. More than 35 employees from TE Connectivity joined the Oregon State Parks Foundation and OPRD staff to help construct new bike shelters for park visitors at Champoeg State Heritage Area. Explore Oregon’s most scenic regions by bike! Our unique Scenic Bikeways program features routes suggested by locals – so you know you’re getting the best of the best when you ride an Oregon Scenic Bikeway. These routes have been officially reviewed, ridden and adopted, and each one provides inspiration for planning a two-wheeled vacation in Oregon – for visitors and residents, riding here for the first time or the fiftieth. Read more about Oregon Scenic Bikeways. The routes are diverse, accommodating everyone from beginning to advanced riders, for day trips or extended multi-day adventures. Some Bikeways are linear, some are loops, some are short and some are long. 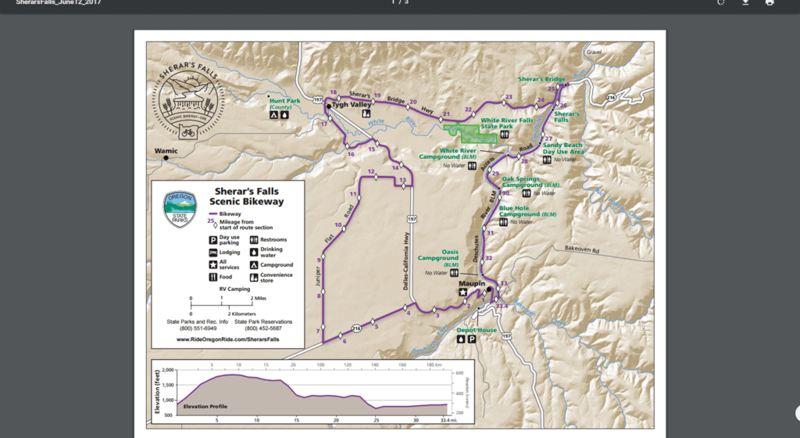 Explore descriptions and detailed maps on the route pages below. 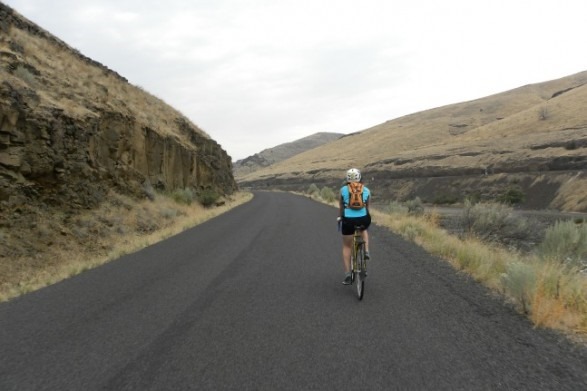 Check out all six Oregon Scenic Bikeways – and then go experience them for yourself! It is finally summer and although I have no specific bike plans this year, having crossed the US last year during the summer I am finally looking at the Oregon State Bike Map. @DaveNPetePart2 is out there in the NW quadrant of Oregon on Motorcycles this year, having done their share of pedal powered trips across the US as well. Fun to try something different. They still look like bikers, pack like it, camp like it, cook like it, and of course, use the same maps. If anyone has a link to the Washington version of this let me know. Look for me out and about, I think I might take a car and launch myself from various points this year on short loops.